The script, story and creative editorial is by me (with editorial help from Robert Napton). It’s based on stories, people, events and experiences I encountered while there. 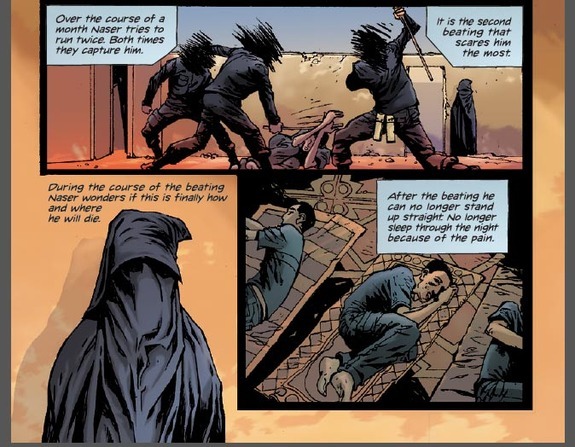 The art is by the great Alberto Ponticelli, my collaborator on 2007’s Unknown Soldier (for which I travelled to Northern Uganda for research). The colorist is Pat Massioni, a fantastic artist in his own right, and also a collaborator on Unknown Soldier. The letterer is Thomas Mauer. Here’s my blog on Huffpost about the Iraq trip. Here’s a Newsarama article and interview on the project with photos. 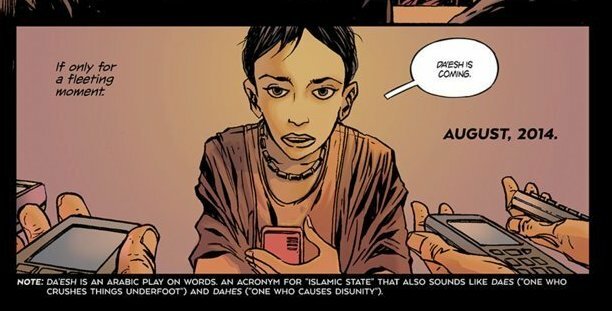 The idea of a comic covering the relief aid community is the brainchild of WFP’s communications team in Rome, with Jonathan Dumont leading the charge. The initial idea was by Gioacchino Gargano. Team members Christina Ascone and Dina El-Kassaby were instrumental in the organization and inspiration of it all. Click here to read an interview with Jonathan and myself. Here’s the awesome World Food Programme page about the project. I could not have done this without the WFP ground team that escorted me through their world, answered my questions, translated people’s experiences (and hopes and dreams), and helped me understand, to the best of my ability, the complications and joys of the region. 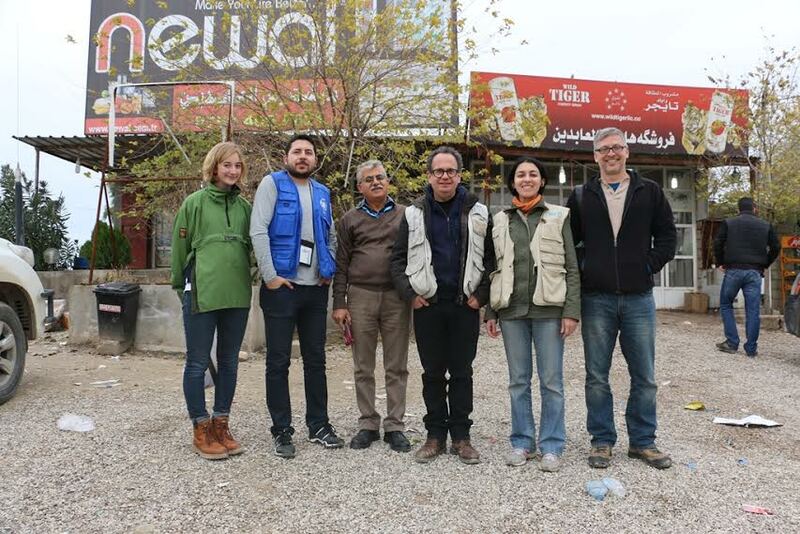 This includes everyone at both the Erbil and Dahouk offices and all the amazing WFP drivers (seriously, these guys are awesome). But a very special shout out goes to my traveling companions and friends, Mohammed Albahbahani, Marwa Awad and Chloe Cornish. I have shamelessly copped inspiration, recollections and character traits from these three and my debt to them is as big as it is to anyone who worked on this project. I sincerely hope they’re happy with the final product. I’m sorry this has taken as long as it has to come out but I hope to expand LIVING LEVEL-3 into a larger work so I can dedicate more time and energy to it in the future. Peace – here, there, and everywhere. Lunch stop with the field team on the road to Dahouk. Left to right: Chloe Cornish, Mohammed Albahbahani, one of our amazing drivers whose name I can’t remember because it’s been a year and I’m a jerk, Jonathan Dumont, Marwa Awad, and myself. Click here for my photos of Peshmerga soldiers before the December 17th, 2014 strike on Mt. Sinjar.